Already before completing her PhD in immunology, Dr Birte Kretschmer developed a professional interest in global research collaborations and the translation of drug candidates into clinical application. As a post-doc at the Bernhard Nocht Institute for Tropical Medicine Hamburg, she significantly contributed to the FP7 project BuruliVac, a large multinational consortium developing novel vaccine candidates for Buruli Ulcer Disease. Her engagement in the project implementation, management, training and capacity building took her to various African regions before she joined Eurice as a Research & Innovation Manager in 2013. With her profound knowledge of the different European funding schemes in the field of health and biotech (e.g. FP7, Horizon 2020, EDCTP, IMI, ERC), she played a key role in the successful adoption of the Horizon 2020 proposals EVIDENT and MYOCURE. Moreover, Birte provides workshops and webinars on clinical trials and ethical aspects of medical research in the frame of the EU innovation support initiative Fit for Health 2.0. Her B.A. and M.A. in European cultural studies had taken Claudia Haase to Germany, France and Sweden, before she started her professional career in the field of EU-financed projects. 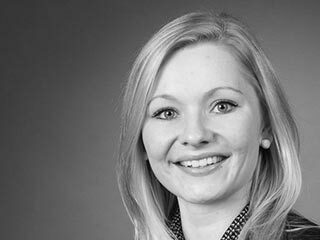 Having worked for a German humanitarian organisation, the European Central Bank and the European Commission, she joined our Berlin team as a Project Manager in 2017. 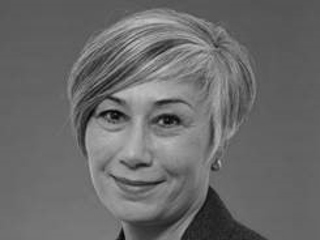 At Eurice, she uses her several years of project management experience and her extensive knowledge of European funding schemes to professionally support different research consortia in the project planning and implementation process including financial management, communication and dissemination activities. Starting off with the EU-funded research project BuruliCo, Dr Vera Schneider refined her scientific project management skills already in the course of her PhD studies and post-doc at the Department of Infectious Diseases & Tropical Medicine of the LMU Munich and the Bernhard Nocht Institute for Tropical Medicine Hamburg. 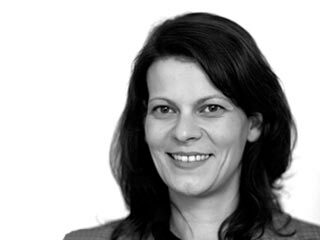 Since joining Eurice as a Research & Innovation Manager in 2007, she has built up an extensive track record playing a significant part in the successful proposal adoption and project management of life science, health and biotech projects like BuruliVac, ComplexINC, SynSignal and SYSCID. Her skill set includes strategic project planning and management of international research alliances, proposal writing and negotiation with particular expertise in Research & Innovation Actions, MSCA and Infrastructures projects of the European Commission. Additionally, Vera provides training sessions and workshops on knowledge transfer and innovation management and has been serving as a project evaluator to the European Commission. She has a strong personal interest in clinical trials, ethical and regulatory issues as well as the innovation potential and value-chain of medical products. Having graduated in intercultural communication and business administration (M.A. ), Katrin Boisvert-Bilodeau deepened her personal interest in multidisciplinary surroundings and European cooperation working for the cross-border city network QuattroPole and the Chair of Romance Culture and Intercultural Communication at Saarland University. Additional study visits and internships in Montréal, Canada, and Toulouse, France, have further strengthened her passion for the Francophone world as well as her language and communication skills, which she has been applying in her daily work as a Project Manager at Eurice since 2017. 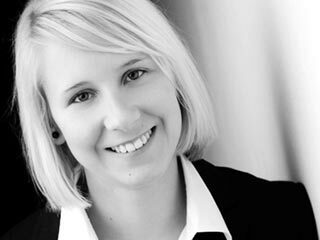 Britta Theobald-Loeffler graduated in applied language and translation studies and joined the Eurice team in 2008. Her profound communication skills and diverse fields of interest make her an excellent project manager, networker and trouble shooter whose track record includes large international life science projects like AITS, DEEP, LipiDiDiet or nuclear research projects like NOMAD. As a Senior Project Manager, she has longstanding experience ranging from Life+, EFRE, FP6 and FP7 to Horizon 2020 and national funding schemes. Her thematic scope encompasses life science and biotech topics such as epigenetics, personalised medicine approaches, food technology and environmental research. 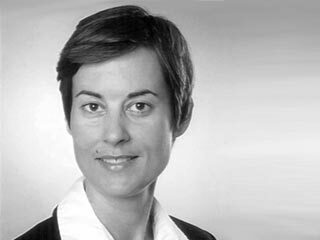 Since joining Eurice as a Research & Innovation Manager in 2000, Corinna Hahn has built up a long track record of successful project proposals including p-medicine, SysMedPD, PneumoNP and B-SMART. Having started as a translator and FP4 project manager at the Leibniz Institute for New Materials (INM) Saarbrücken, her experience ranges from national funding schemes e.g. by the German Ministry of Education and Research (BMBF) to the current EU Framework Programme Horizon 2020. 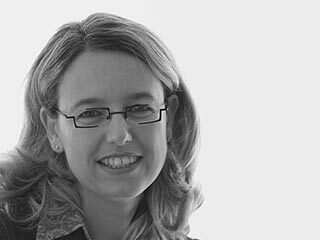 Corinna is an expert in the field of nanotechnology with a strong personal interest in interdisciplinary research initiatives at the interface between medicine, nanotechnology and ICT. Her skill set includes strategic project planning and management of international research alliances, proposal writing and negotiation with particular expertise in engineering projects and ERC consultancy. 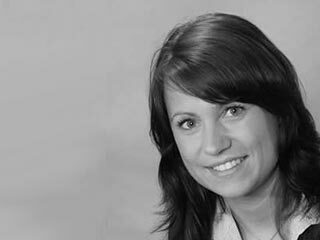 Additionally, Corinna provides training sessions and workshops on knowledge transfer and innovation management. Already during her B.A. and M.A. of European studies at the University of Passau, Germany, and Cardiff University in Wales, Lisa Heinemann gained valuable experience managing projects, events and PR activities for cultural institutions. Having spent some time working in South Africa, Ireland, Germany and the US, she joined Eurice in 2016. As a Project Manager, Lisa’s focus is on the network management activities for two national life science initiatives (NVKH and IWBio). Her activities comprise the coordination of working groups and committees, strategic and structural advice as well as financial and administrative support. Lisa also supports the project management and dissemination activities for H2020 and FP7 projects, which have so far included MYOCURE, EVIDENT and SynSignal. 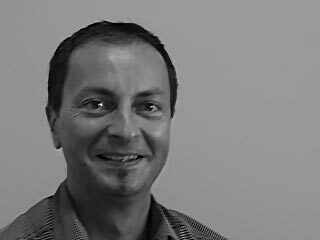 With a background in media design and information science (M.A. 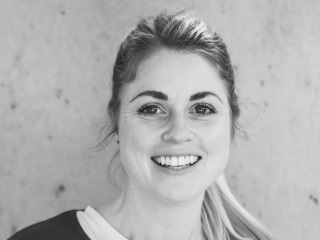 ), Nina Weiler started her communication and design career at a communication agency where she gained hands-on experience in visualising, designing and producing digital and print media. Since joining Eurice in 2004, she has been turning complex research endeavours into appealing communication measures with her focus being on the strategic planning of project communication and visual design concepts including the creation of print and digital dissemination materials, audio-visual content and logo designs. 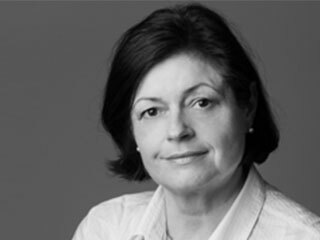 Nina has profound expertise in the development of integrated communication campaigns for EU and international R&D projects and has significantly contributed to the creation of the corporate identity concept of the European IPR Helpdesk and the communication activities of the International Human Epigenome Consortium (IHEC). Dr Bianca Dibari completed her bachelor and master degree studies in food and plant biotechnology at the Università degli Studi di Bari „A. Moro“, Italy. In the course of her PhD studies in genetic breeding and pathology of crop and forestry species, she became fascinated by international research endeavours and technology transfer in the field of biotech. Having spent parts of her studies in Italy, France and Belgium, she started working as a European Project Manager at INRA Transfer in Paris and Clermont-Ferrand, France. 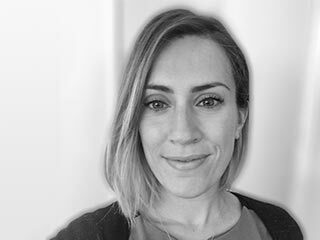 Since joining the Eurice team as a Project Manager in 2017, Bianca has been focusing on agricultural and food projects and took the lead of Horizon 2020 project G2P-SOL. 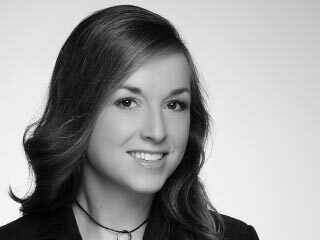 After completing her Master in trilingual management and international economic relations in Freiburg and Paris, Claire Fentsch worked as a Business Development Manager in an international industrial group before joining our team in 2014. 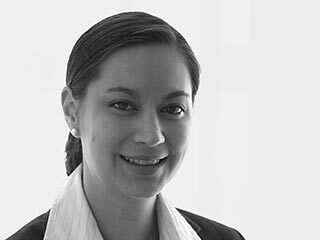 At Eurice, she focuses on project management and business development. 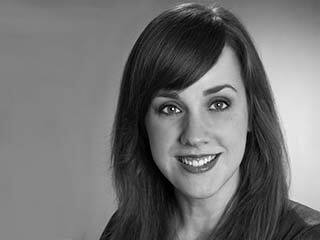 Being a passionate networker, Claire manages and coordinates all training and awareness raising activities within one of Eurice’s flagship projects, the European IPR Helpdesk. In this context, she also takes care of the local Eurice representation in Brussels, which facilitates communication paths with EU institutions and stakeholders based in Brussels. Besides managing training sessions on intellectual property (IP) management and exploitation strategies, these activities include networking events with international EU policy stakeholders, IP experts and European institutions such as the European Commission or the European Patent Office. 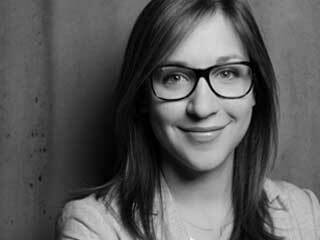 Being a native speaker of German and French, Léna Prochnow studied Engineering Sciences at the École Centrale Paris and Medical Biotechnology at the TU Berlin, before establishing her career in the field on life science innovation consultancy. Biotechnology in all its colours has ever since been her focus and personal passion: After a first position as a strategy and marketing consultant in the field of life sciences, her next assignments kept Léna in Berlin where she worked as a referee for biotechnology at the French Embassy and as a network and innovation manager for the regional health cluster HealthCapital (former BioTOP Berlin-Brandenburg). With more than ten years of professional experience in the field of life science innovation, she joined the Eurice Berlin team as a Research & Innovation Manager in 2018. Léna is a passionate networker who uses her international and technical experience to help research consortia to turn their ideas into successful proposals and promising research endeavours. At Eurice, her fields of action include innovation management and dissemination activities for H2020 project GoodBerry and strategic network management for the German biotechnology association IWBio. 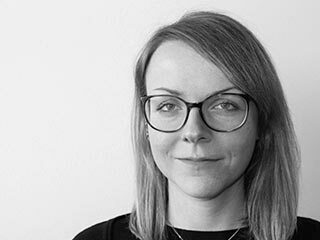 Prior to joining Eurice as a Graphic Designer in 2018, Katrin Neisius has gained valuable experience in the field of media design for digital and print formats in different advertising and communication agencies. Moreover, she has been supporting several private companies as a freelance designer and consultant. 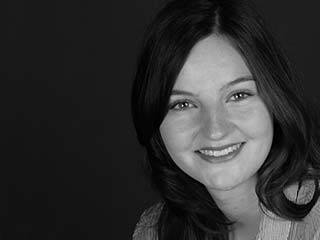 With a diploma in media art and design, Katrin brings in profound expertise in the development and implementation of corporate identity concepts ranging from brand and product design to the visualisation of complex scientific concepts and technical processes. Her skill set also include the professional management of film projects for which she has received several grants and awards. 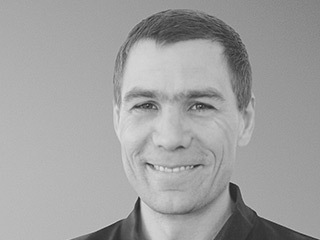 Jörg Scherer, Managing Director and Founder of Eurice, has been working as a Research & Development Manager and Business Advisor in both the academic and industrial sector for over 20 years. 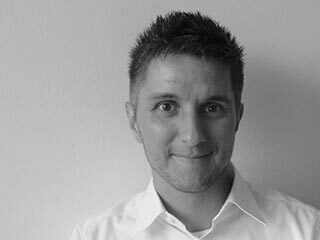 Having founded Eurice in 2000, he acts as a senior innovation management expert for different units of the European Commission, Executive Agencies as well as business and research associations at national and European level. 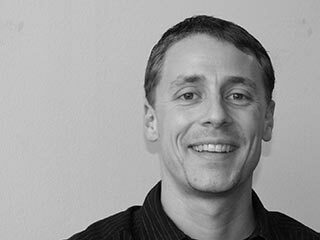 He has an outstanding track record of coordinating and participating in more than 60 European research and innovation projects ranging from FP4 to Horizon 2020. He has been working as innovation expert, evaluator, advisor, trainer and coach for EC services, EEN, research organisations, business incubators and technology transfer centers in Europe. Jörg is frequently invited by the EU Commission, to speak about and conduct training sessions on Intellectual property (IP) and innovation management and business development. 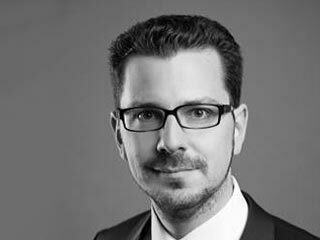 He has been involved in the activities of the European IPR Helpdesk for 11 years. Within the current service provider team, he is coordinating a comprehensive IP capacity-building scheme with over 60 training sessions and more than 4,000 participants per year. During her biology studies at the Justus-Liebig University of Gießen, Germany, Dr Verena Peuser focused on microbiology, biochemistry and physiology. For her PhD studies, she joined the Institute for Microbiology and Molecular Biology which forms part of the university’s interdisciplinary Research Center for Biosystems, Land Use and Nutrition (iFZ). Verena started building up her international project management experience at the EU Grants Office of the university and joined the Eurice team as a Research & Innovation Manager in 2012. With her extensive knowledge of proposal management and support for large collaborative research projects, she significantly contributed to the success of several proposals in the field of food and biotech, including DISCO, TRADITOM, G2P-SOL and TomGEM. 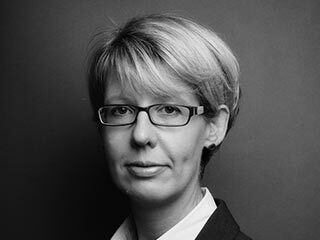 Being an expert for research alliances and multi-stakeholder management at national and European level, Verena also takes responsibility for the professional network management of the two German national life science initiatives NVKH and IWBio. Already before graduating in European studies (B.A.) and East European studies (M.A. ), Anne Kopka studied in Germany, Latvia and Russia and gained working experience at the European Parliament and other European institutions in Brussels and Strasbourg. 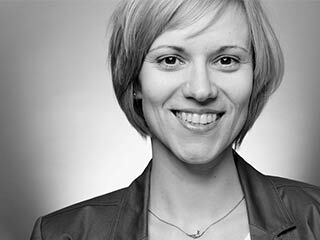 Ever since, she has had a special interest in Eastern European countries, precisely structuring complex processes – and in food projects! As a Project Manager at Eurice, she has managed a number of projects in the food and healthcare sector, including DISCO, TomGEM and BRESOV. Her portfolio comprises FP7 and Horizon 2020 research and innovation projects as well as Marie Skłodowska-Curie Innovative Training Networks (MSCA-ITNs). 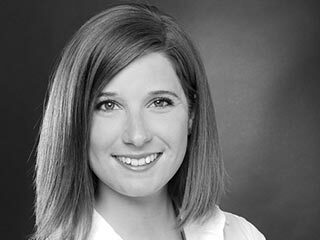 Before starting her career in the field of corporate communications and public relations, Stephanie Weber studied in Münster, Germany and Salamanca, Spain and obtained her Master‘s in communication studies, political science and English. 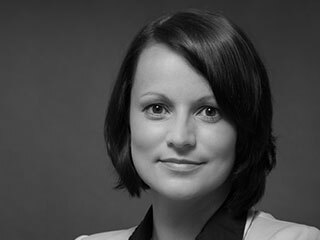 She gained experience in journalism, media relations and worked as a PR consultant in a renowned German agency, before joining the Eurice team as Communication Manager in 2011. She has developed and implemented targeted concepts and measures including the planning and coordination of events, creation of media kits and the development of digital, print and audio-visual marketing materials. 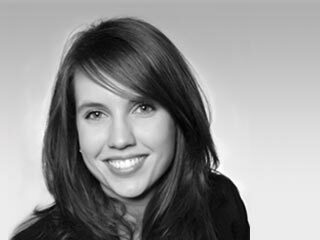 Being a passionate outreach strategist, Stephanie is now heading the communications team at Eurice providing professional advice on science communication and stakeholder management to multiple research and innovation initiatives such as the European IPR Helpdesk and the International Human Epigenome Consortium (IHEC). After studying in Germany, Finland and the US, Dr Silke von Sehlen obtained her PhD in comparative literature and joined the Eurice team as a Project Manager in 2016. Her strong fascination for the English and German language and intercultural and interdisciplinary surroundings have laid the foundation for her daily work in multinational research consortia. Her professional focus is on projects related to biotechnology and healthcare which has included project management, monitoring, communication and dissemination activities within the FP7 projects SynSignal and CoMMiTMenT as well as the MSCA-ITN RELEVANCE or H2020-project B-SMART. After completing her M.A. studies of Business administration and intercultural European and American studies, Caroline Stöhr worked as a Key Account Manager at a cross-cultural consultancy company taking responsibility for international human resources development and customised training and consultancy schemes for international business projects. Since joining Eurice as a Project Manager in 2012, she uses her profound knowledge of international project management and cross-cultural communication managing several FP7, Horizon 2020 and EDCTP projects mainly in the field of life sciences and medical research. Her professional activities include strategic project planning and capacity building as well as the coordination of all financial and administrative aspects at consortium level for EU projects such as ncRNAPain and Hypo-RESOLVE. With her many years of experience in the management of collaborative international research projects, Janine Jost is now one of the Senior Project Managers at Eurice. Already during her studies of applied languages and translation and her time working as a legal translator, she gained experience in the field of European law and intellectual property and developed a special interest in international communication and European project management. Besides managing research consortia in the fields of ICT, NMP, aeronautics and life sciences, she takes responsibility for internal knowledge transfer and resource management at Eurice. 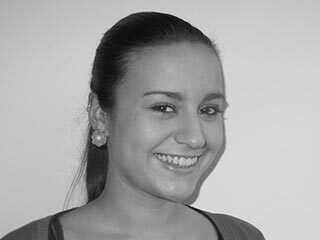 Janine’s project portfolio comprises FP7 and Horizon 2020 projects such as PneumoNP, CARAT and p-medicine. After finishing her master thesis examining critical communication areas in European research projects, Maria Azofra quickly put theory into practice and significantly contributed to the conceptualisation and development of the project management tool ProjectAngel before starting to work as a Project Manager at Eurice in 2011. 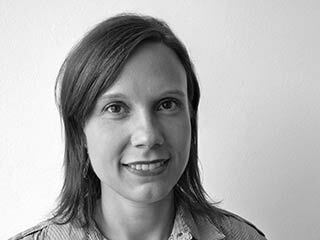 Besides coordinating the management and dissemination activities in FP7 project TANDEM, Maria is an expert on European Research Council (ERC) Grants and third country cooperation projects in Latin America and Asia. She is a certified translator and a native speaker of English, Spanish and German with a soft spot for writing and intercultural communication. After obtaining her M.A. 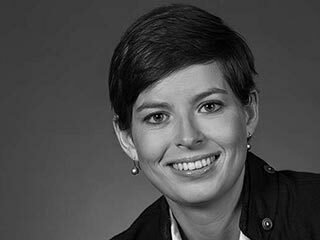 in political science and European affairs from the Free University of Berlin and the Sciences Po Paris, Eva Kluchert joined the Eurice team Berlin in March 2016. As a Project Manager, she provides management support for Horizon 2020 project SYSCID and other FP7 and Horizon 2020 projects. Her activities include financial management, dissemination and exploitation activities as well as meeting and event organisation. 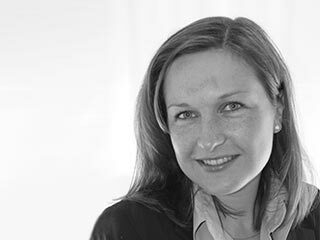 Eva has a soft spot for intercultural environments and writing, is fluent in German, English and French and has a strong personal interest in European affairs. 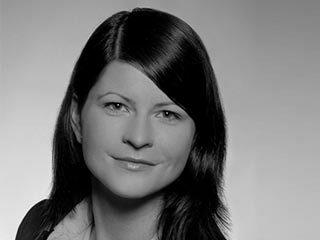 Dr Anett Pfeiffer joined the Eurice Berlin team as a Research & Innovation Manager in 2018. Having graduated in Biochemistry at the Free University Berlin, she was granted a Doctoral Scholarship at the Helmholtz Graduate School “Molecular Cell Biology“ and took part in the international PhD Programme of the Max-Delbrück-Centre for Molecular Medicine (MDC) and Humboldt University Berlin. In the course of her PhD and post-doctorate studies at the MDC, she focused on basic research in the field of protein quality control and took the chance to gain foothold in the international research landscape at the University of Oxford. Fascinated by the opportunities of innovative and personalised medicine and the concept of Open Science, Anett placed her professional priority on the improvement of global healthcare through the exploitation of innovative medical research endeavours tackling e.g. poverty-related and rare diseases. At Eurice, she uses her experience to accompany research consortia in their proposal writing process and to support the innovation management and dissemination activities of Horizon 2020 projects such as MYOCURE and CureCN. 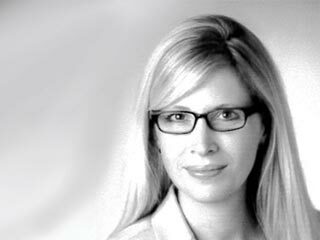 Prior to joining the Eurice team in 2016, Ulrike Waltsgott has built up professional expertise in journalism, as a PR consultant in an international corporate communications agency as well as in the marketing and communications departments of national and international private companies. 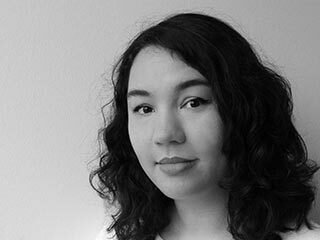 With a diploma in Applied Linguistics and Translation, she brings in strong expertise in text production and editing for science and business-related content in different online and offline media formats. At Eurice, she has been developing strategic communication measures and targeted outreach activities for multiple scientific projects including the European IPR Helpdesk and several FP7 and Horizon 2020 projects. 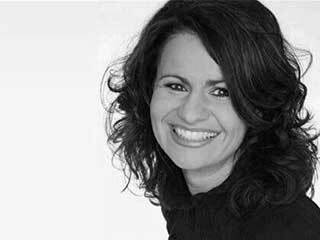 Her portfolio comprises strategic social media management, stakeholder and media relations as well as the creation of editorial content, marketing materials and audio-visual material. After obtaining her Master’s degree in geography and humanitarian assistance, Sabine Dier quickly got acquainted with the world of international project management. Working for different NGOs took her to Vietnam and Armenia while collecting valuable experience in managing international projects funded by the EU, national governments and several UN organisations. Since 2015, she supports the Eurice team as a Project Manager. Her thematic focus is on social sciences, life sciences and ICT projects including the management and dissemination activities in the FP7 and Horizon 2020 projects SENSIndoor, CUPESSE, DEEP and SYSCID. 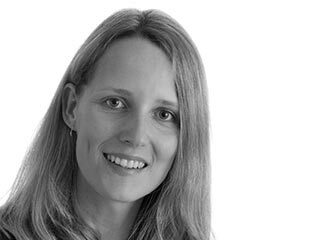 Since joining the Eurice team in 2006, Melanie Haupenthal has built up a long track record comprising multiple funding programmes and areas of research. Her impressive project portfolio has grown by various FP7 and Horizon 2020 projects with a focus on highly innovative and technology development projects (e.g. OSTEOGROW, CHIC and CureCN). 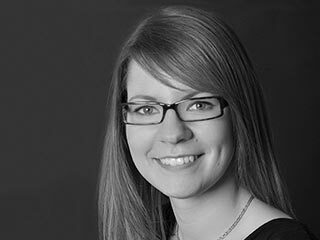 Melanie is a conscientious project manager with a passion for organisational structures, clearly defined processes and multifaceted, international research teams. After graduating in business administration (M.A.) 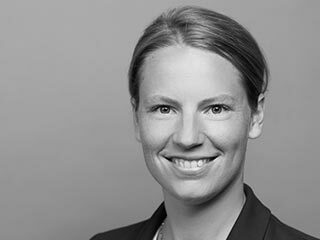 and gaining three years of working experience in international business analysis and finance administration in India, Juliane Roßbach started managing national and international funded projects in 2010. In 2014, she joined the Eurice team as a Project Manager taking responsibility for Horizon 2020, FP7 and COST projects in the fields of sustainable food security, life sciences, environmental management and social sciences. Her professional activities include the coordination of all financial and administrative aspects as well as dissemination activities at consortium level for projects such as GoodBerry, B-SMART, Fit for Health 2.0, ENTRACTE and EuNetAir. With a B.A. in international law from the Catholic University of Milan, Italy and an M.A. 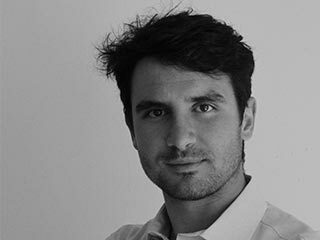 in intellectual property law from the University of Alicante, Spain, Michele Dubbini had the ideal prerequisites to join Eurice as an IP & Innovation Advisor and legal expert. 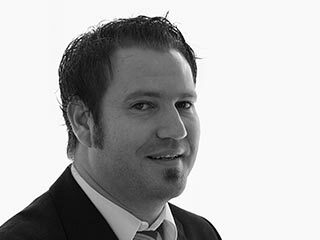 Since 2014, he has supported the European IPR Helpdesk as a speaker for webinars and on-site training events on IP Rights throughout Europe. 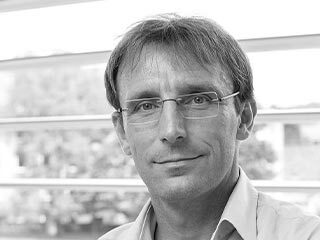 Thanks to his international legal background and IP expert knowledge, he contributes to the creation and revision of consortium agreements and grant contracts for multinational research consortia and speaks at training events and workshops Eurice is involved in. Already before completing her master’s degree in business administration, Anja-Julia Duveneck gained professional experience in the academic sector. Having started as a research and teaching assistant at the Chair of Management Information Systems at Saarland University, she later also took over the coordination and the operational management of decentralised funding schemes for the improvement of teaching curricula. Anja has a strong personal interest in languages, especially in Asian languages and cultures, and is a well-structured and passionate process optimiser. Since joining Eurice as a Project Manager in 2017, she uses this ability to actively support the project management teams of various FP7 and Horizon 2020 projects. After joining Eurice in 2015, Michaela Scheid started off with the management and administrative support of INTERREG IV projects before taking over as a Project Manager for the Horizon 2020 projects MOVE and IMPROVE. Having worked as a conference interpreter, translator and freelance journalist before, she easily adapted to the thematic diversity of her daily work – ranging from youth mobility in Europe to Factories of the Future and Industry 4.0. Managing large collaborative research projects enables her to combine her professional focus on communication and internationality with a personal talent for strategic thinking, efficient team work and trouble shooting.